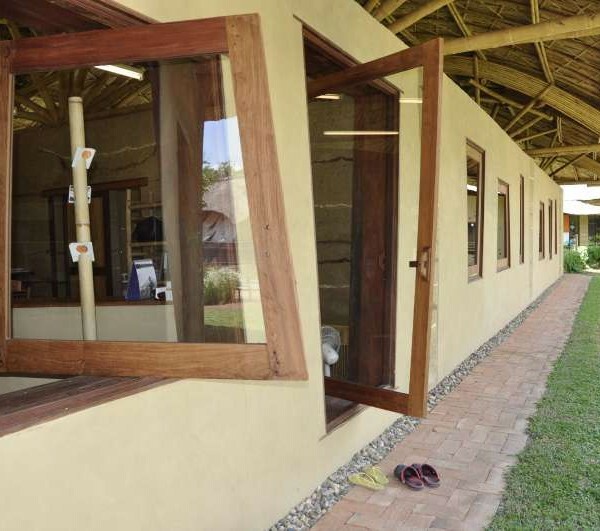 Visit our show units and house office to see how we can work together to design and create your home and commercial building projects. 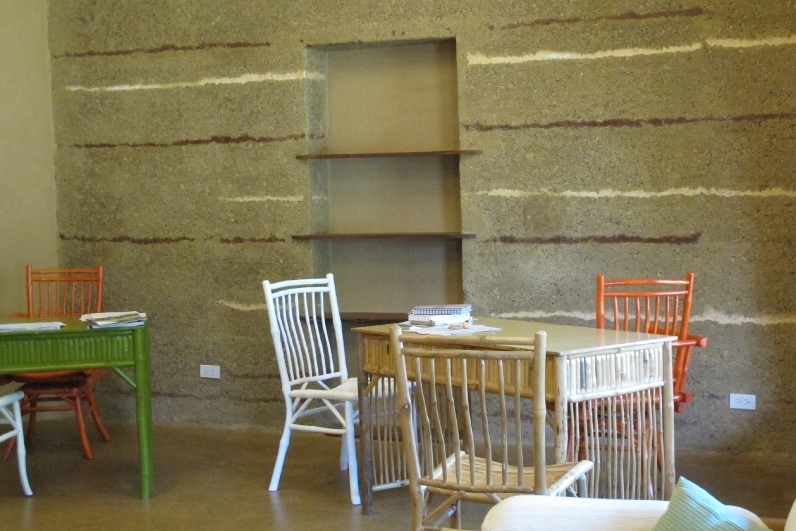 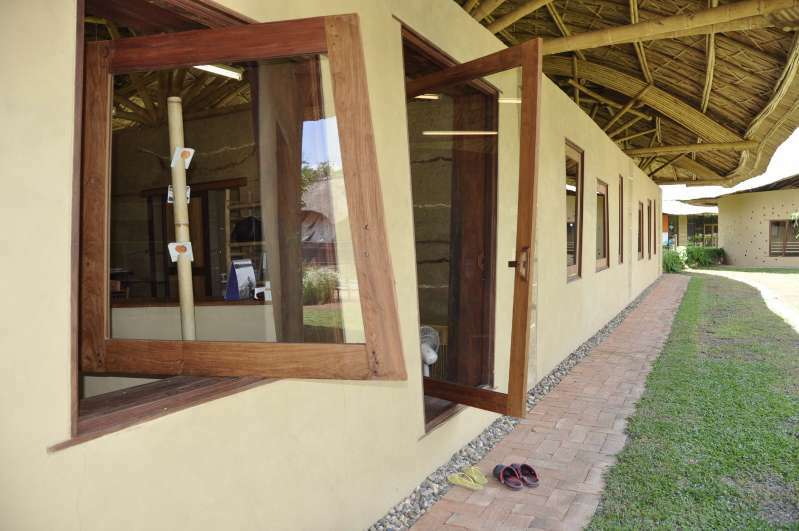 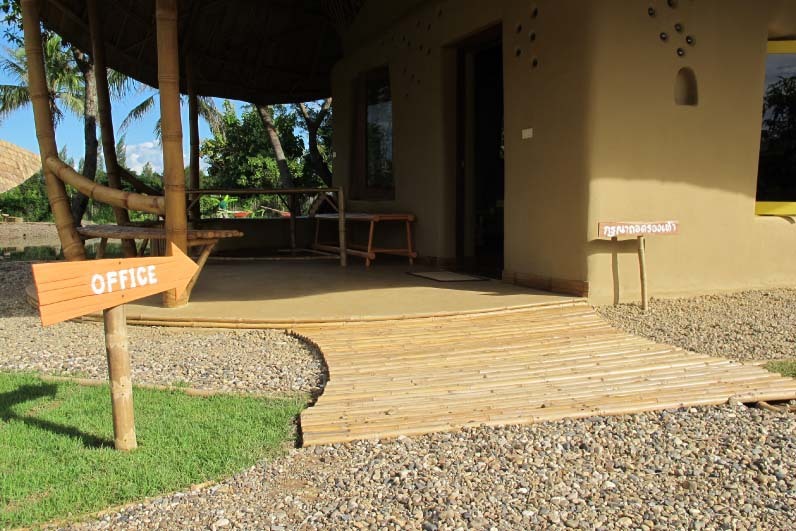 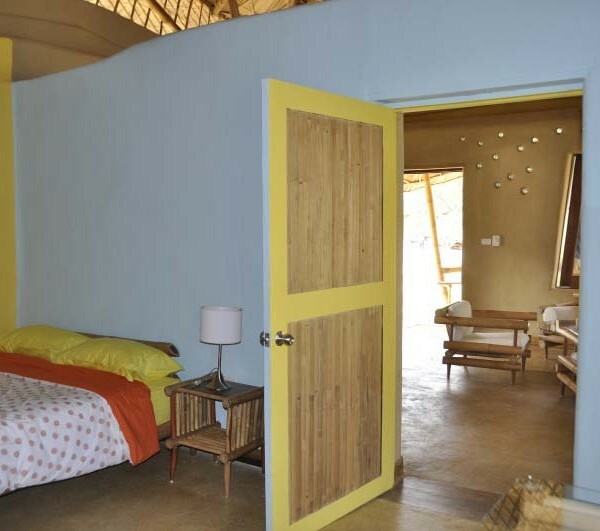 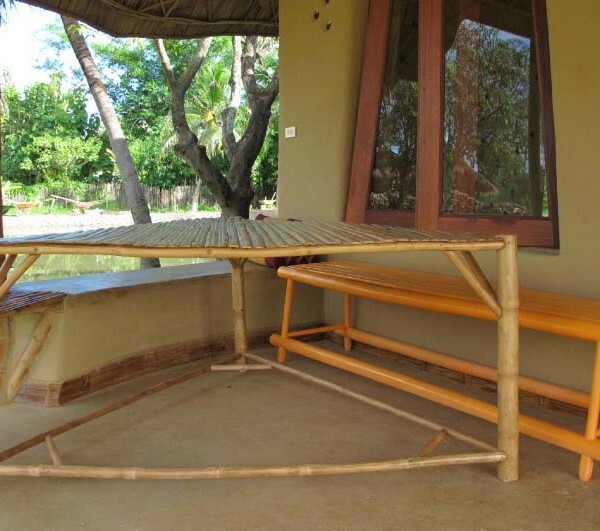 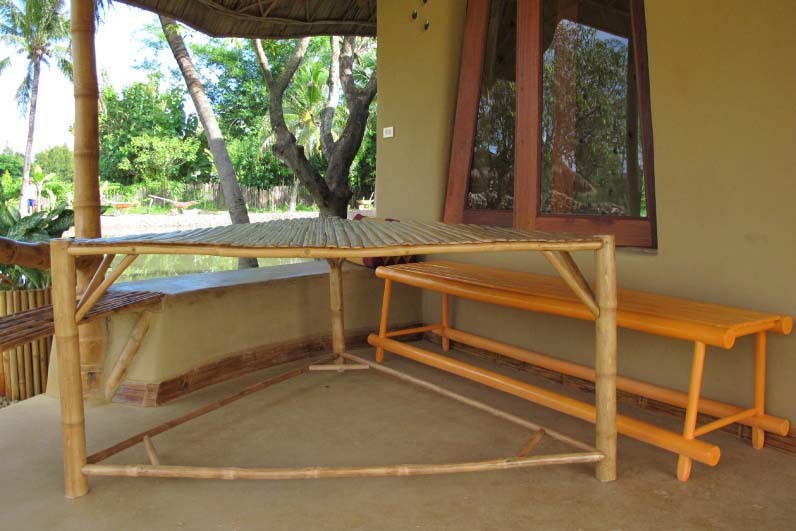 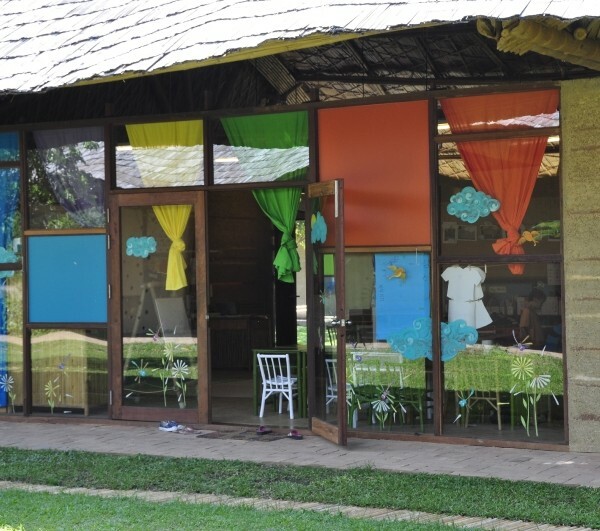 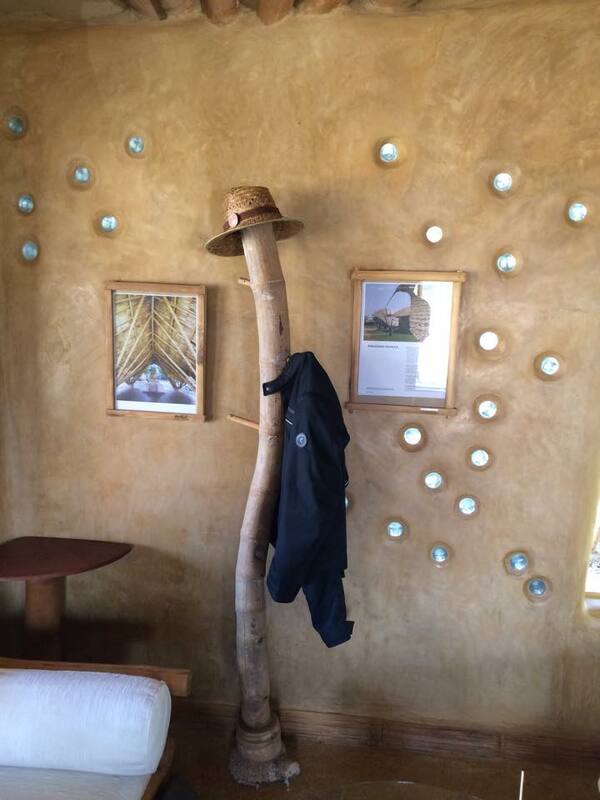 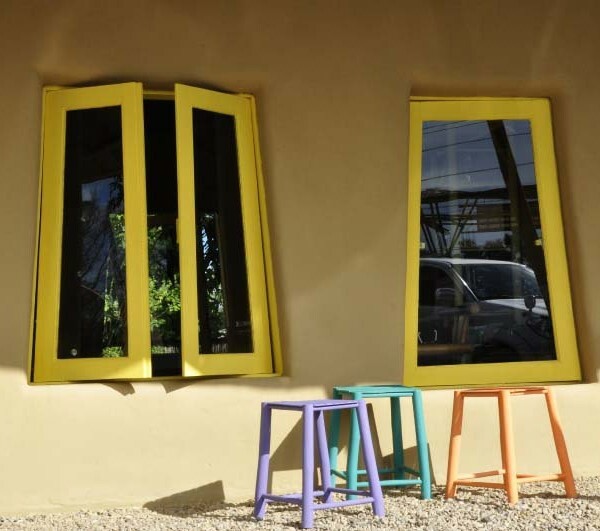 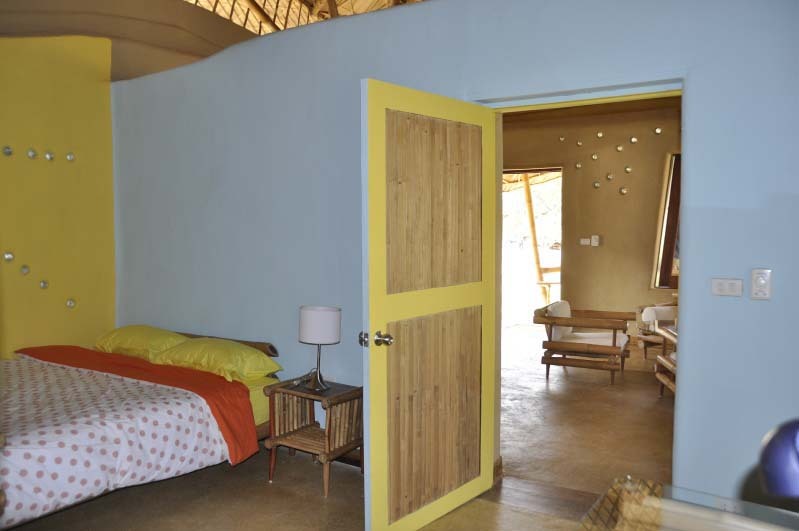 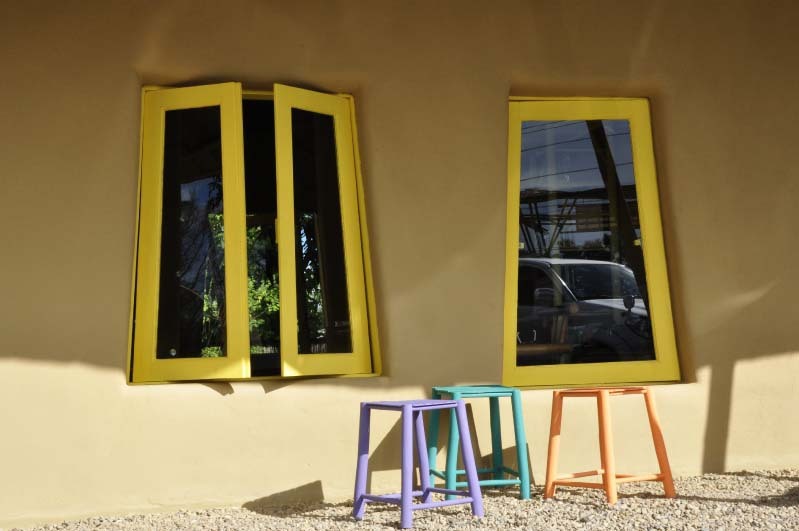 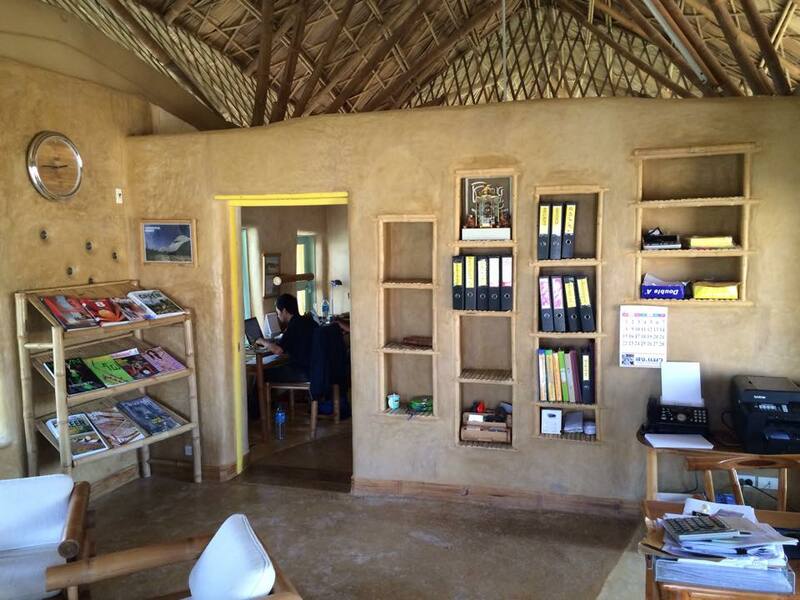 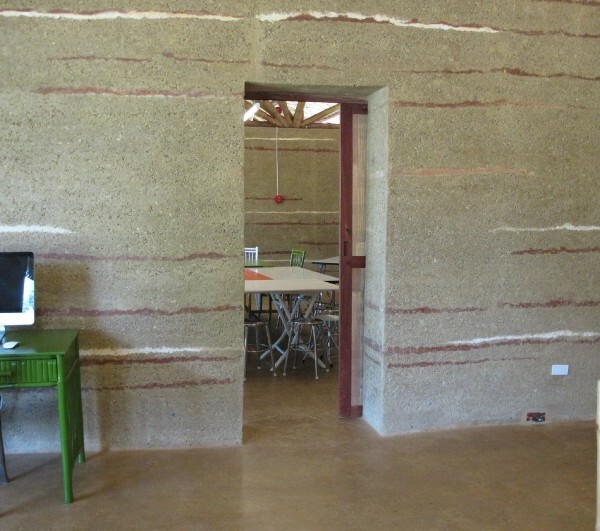 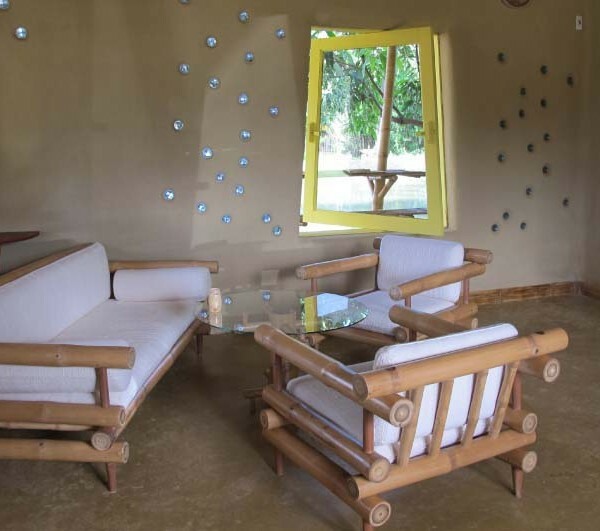 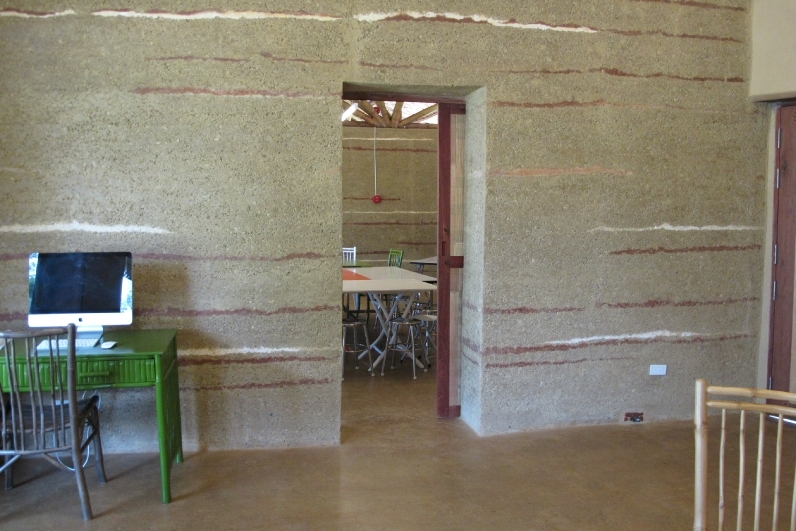 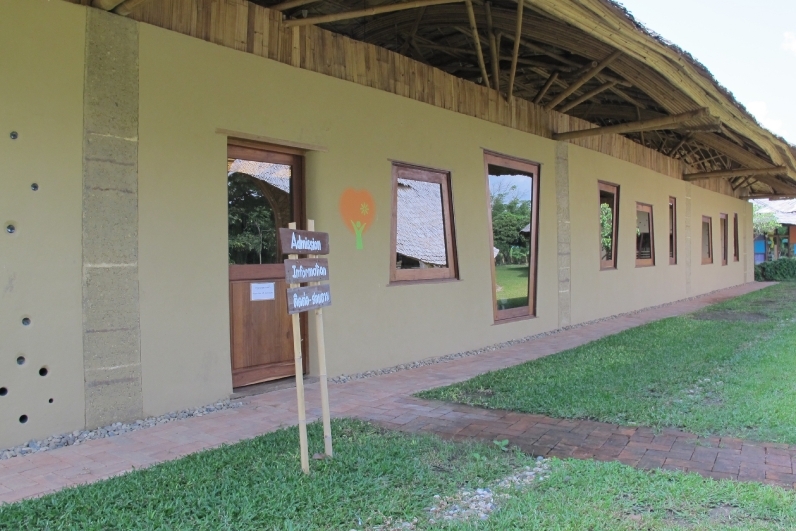 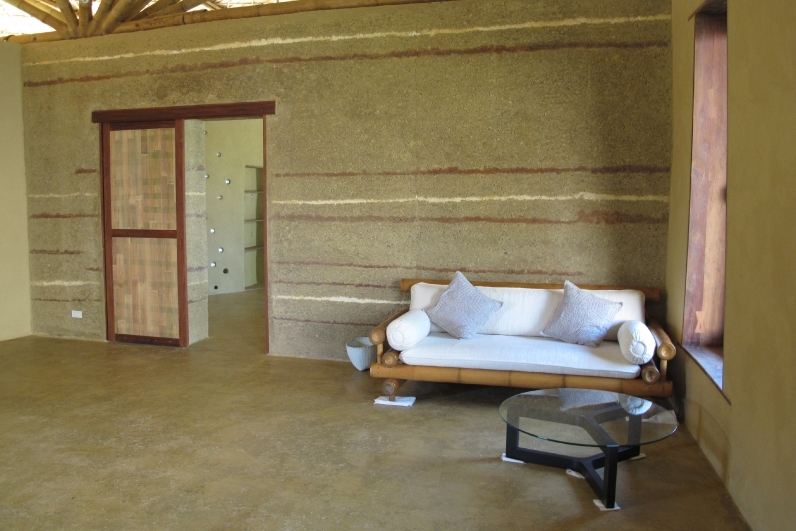 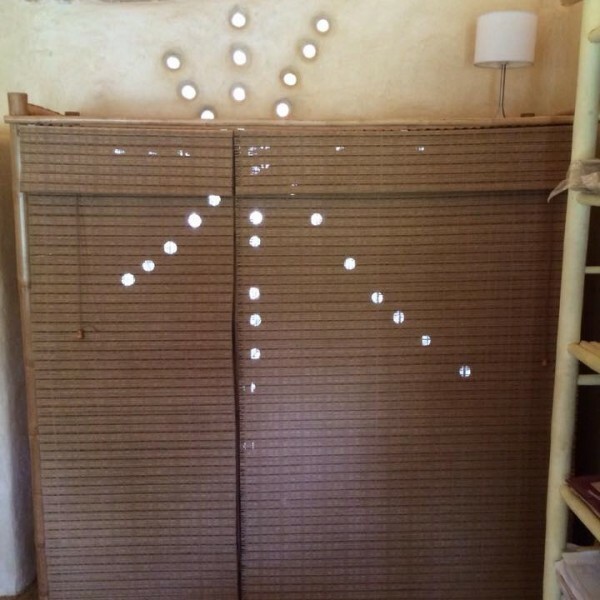 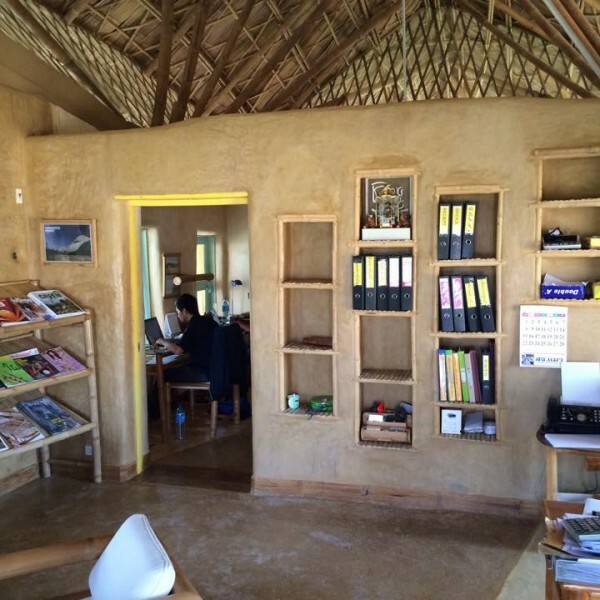 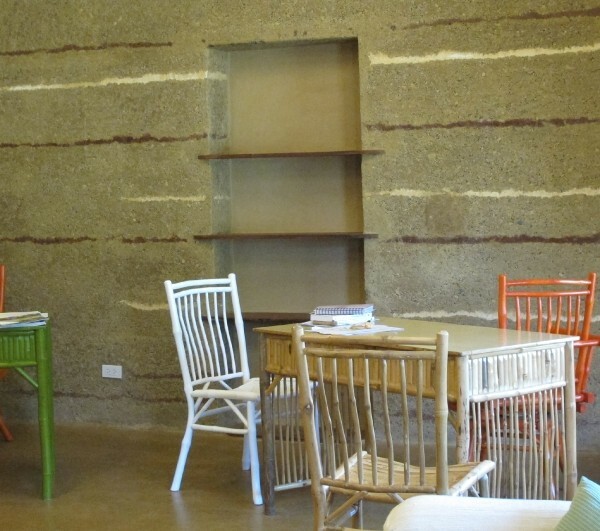 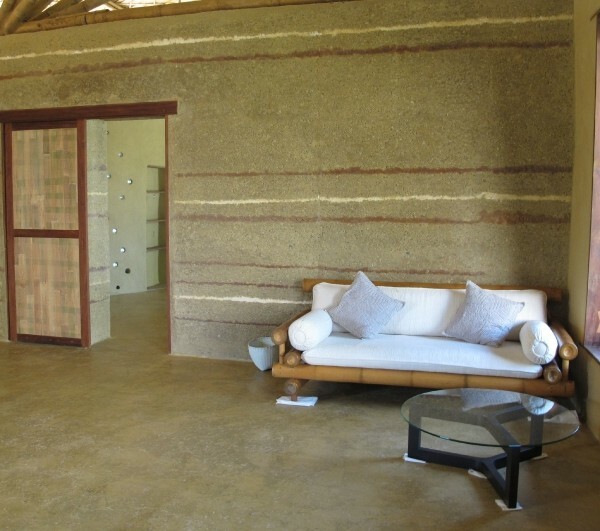 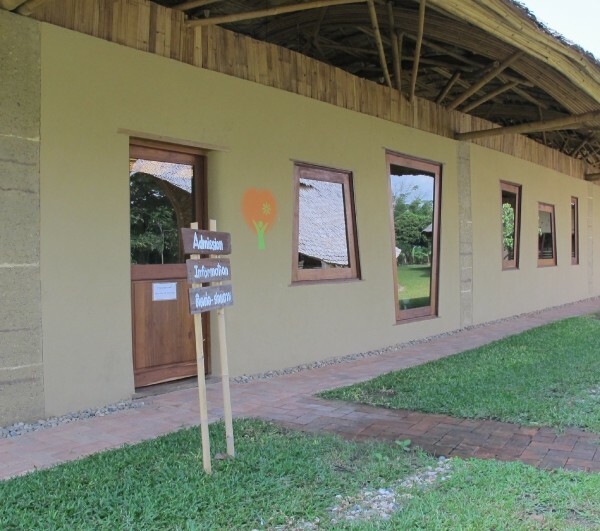 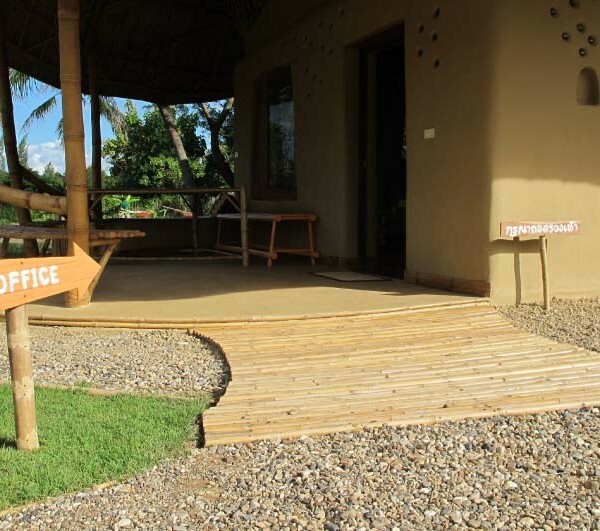 Here are some photos featuring our office, a bedroom, an outdoor kitchen, walls, doors and furniture, all built with bamboo, earth and recycled wood. 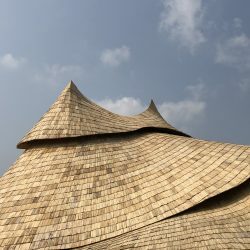 Chiangmai Life Construction specializes in Bamboo Architecture Construction of modern bamboo architecture and construction as well as earth architecture and construction. 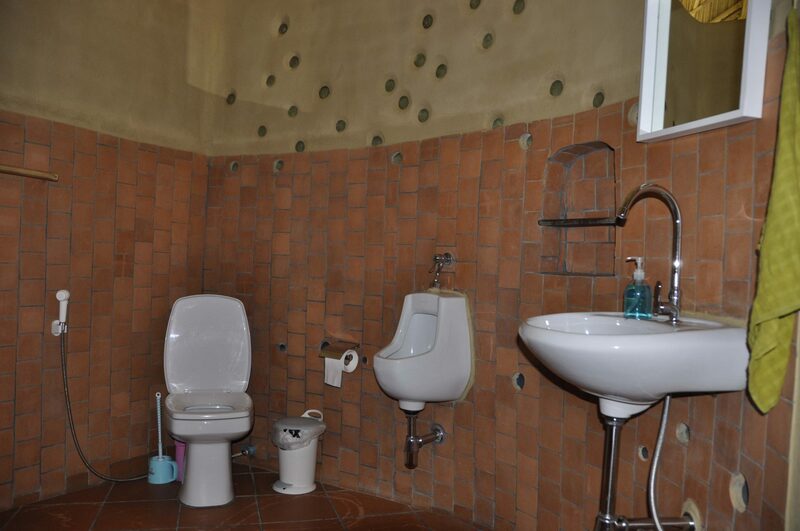 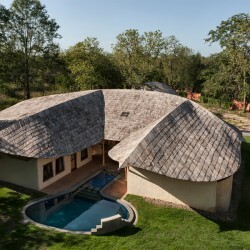 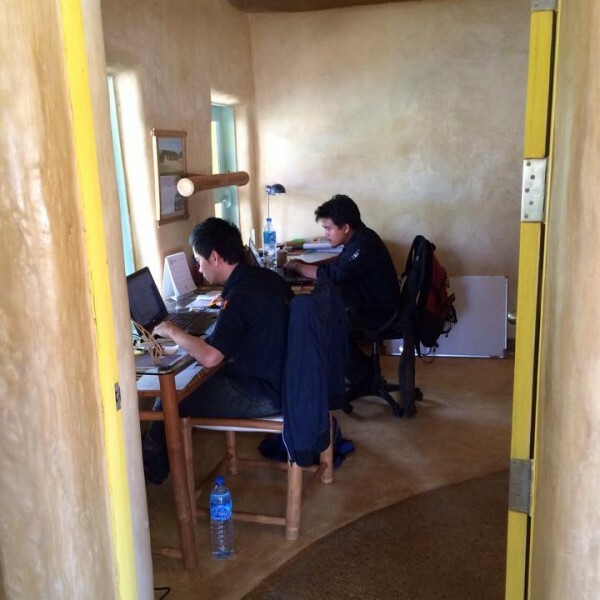 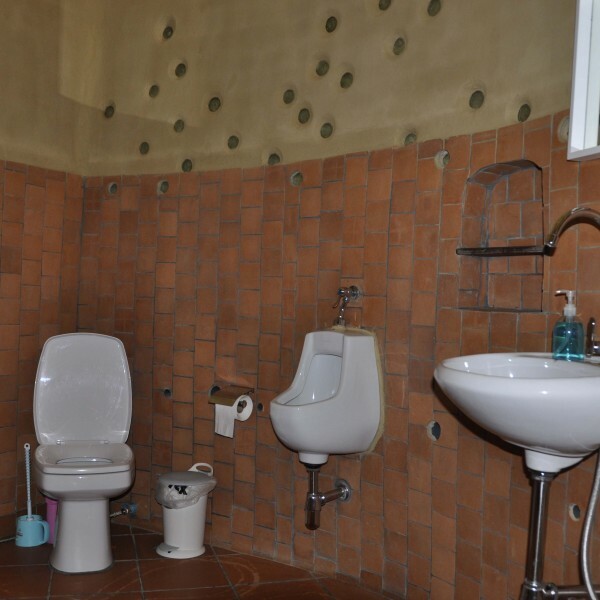 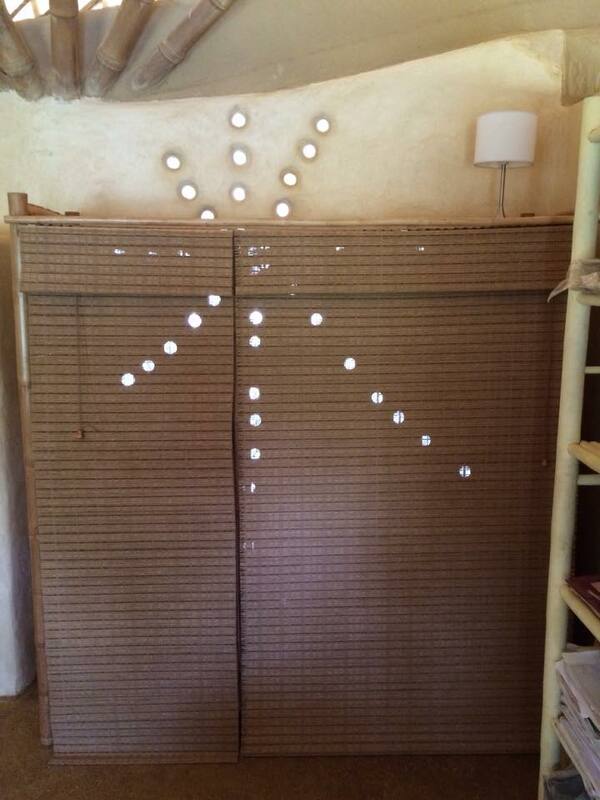 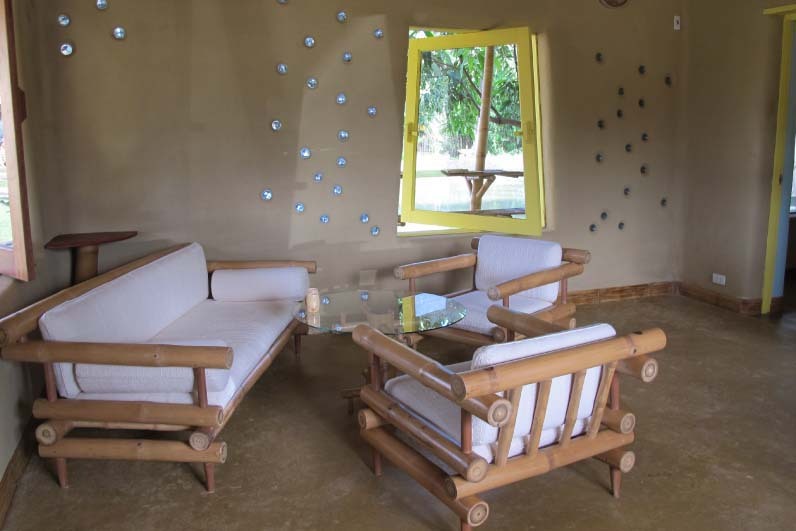 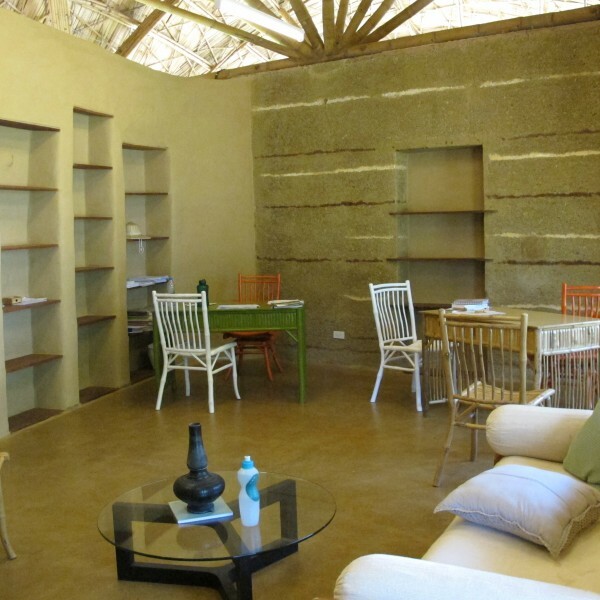 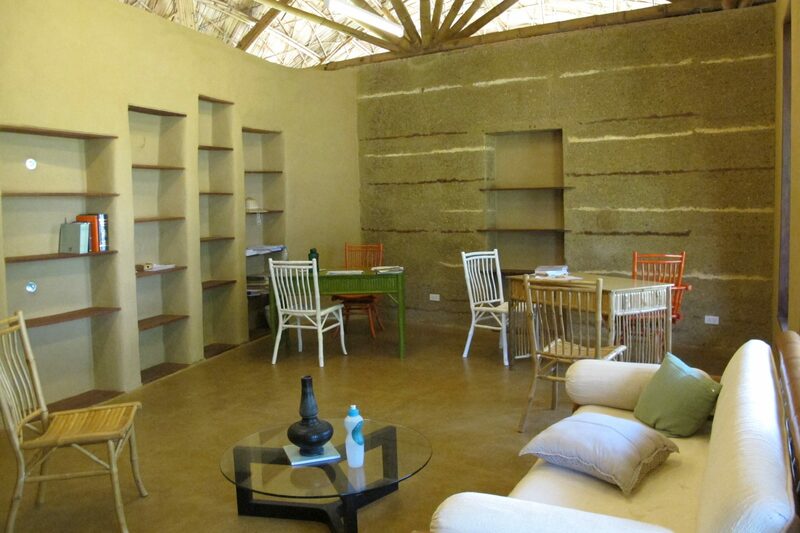 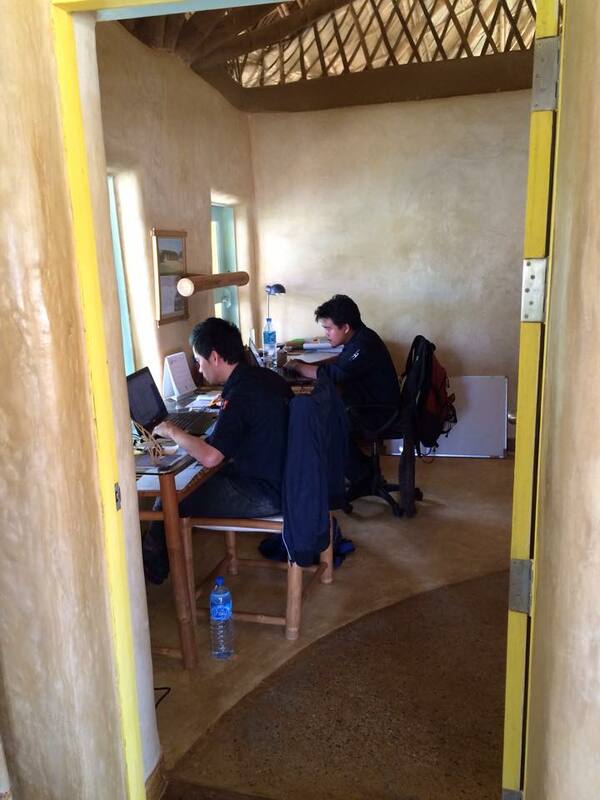 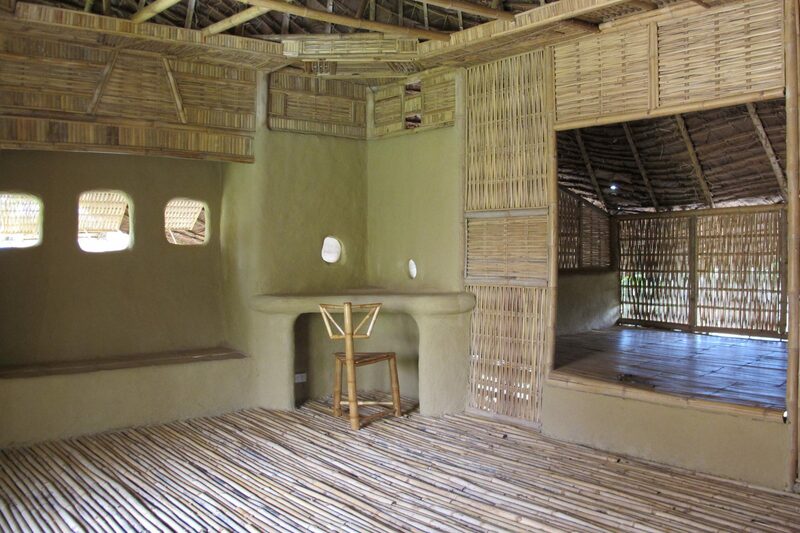 We are a team of bamboo architects and specialized in sustainable architecture. 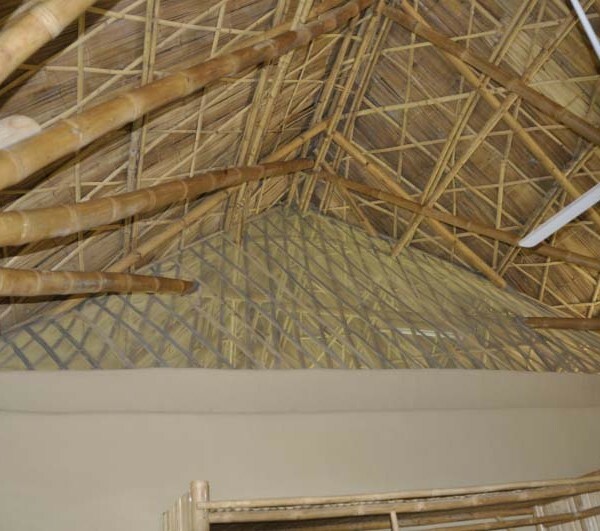 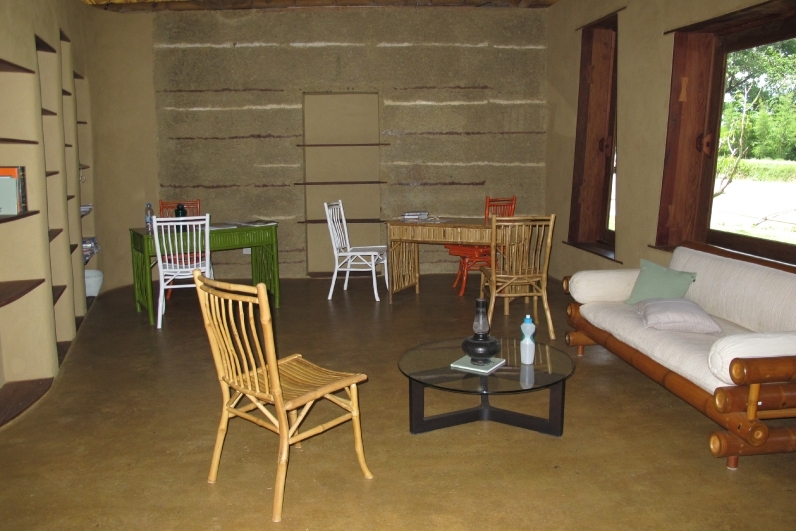 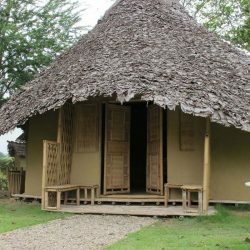 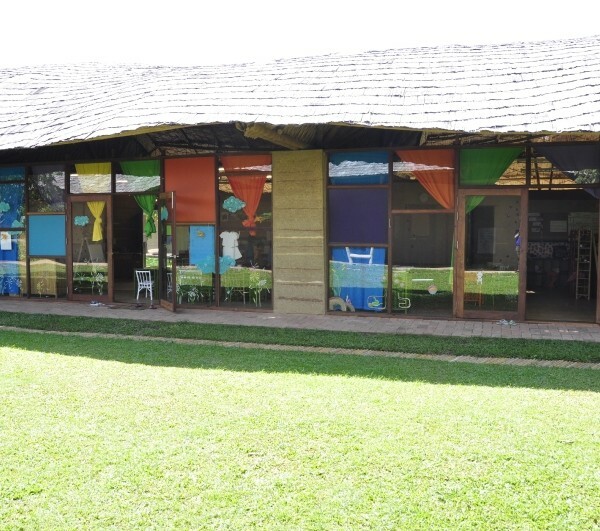 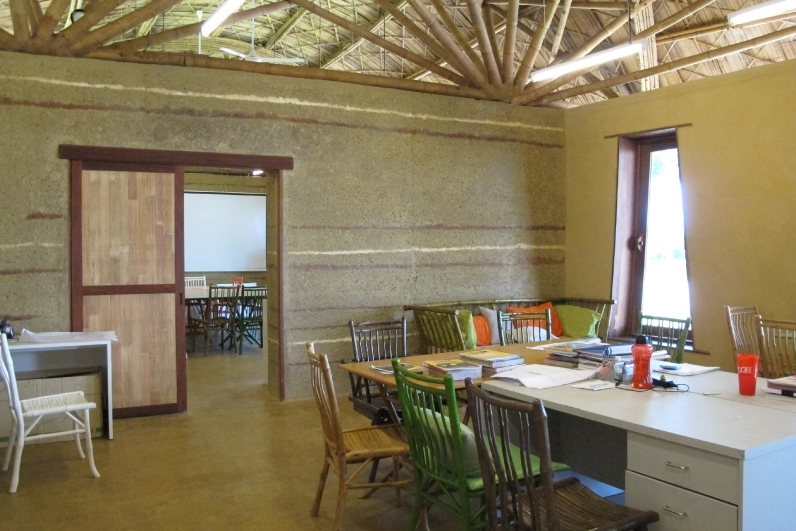 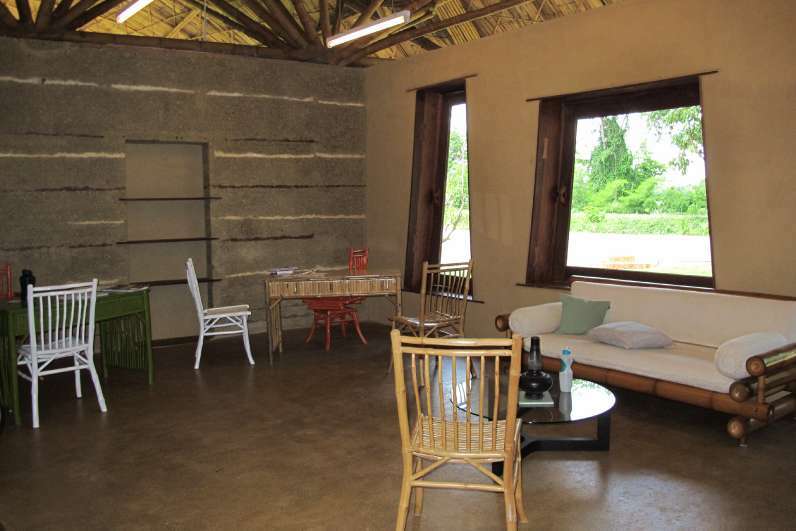 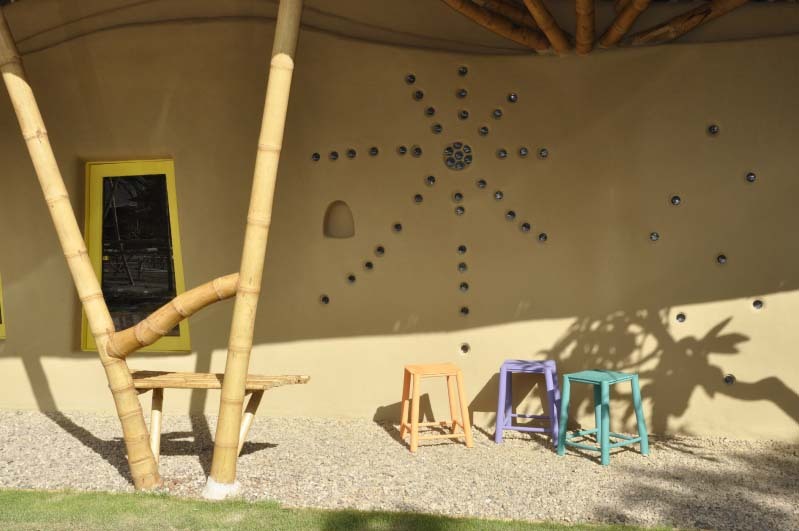 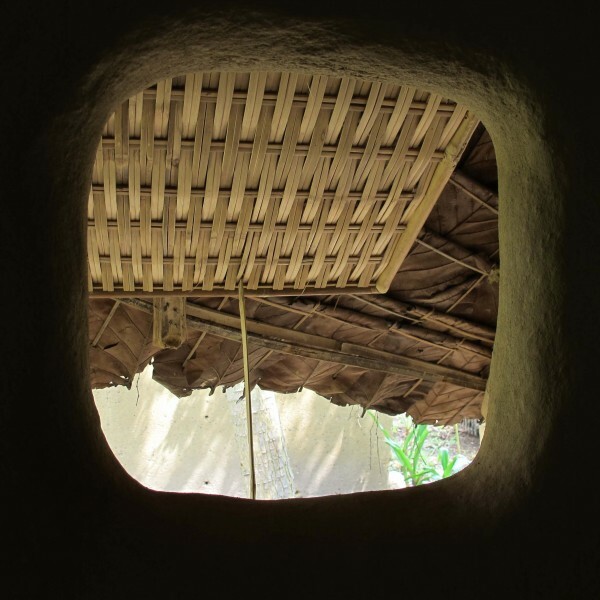 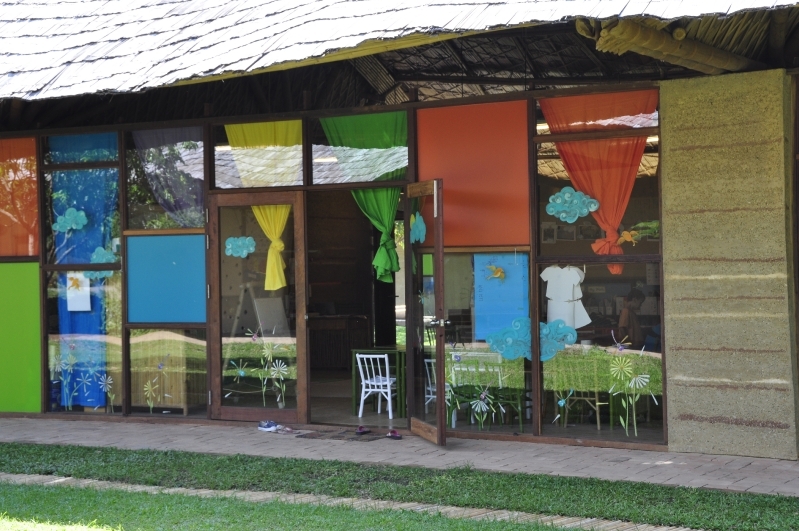 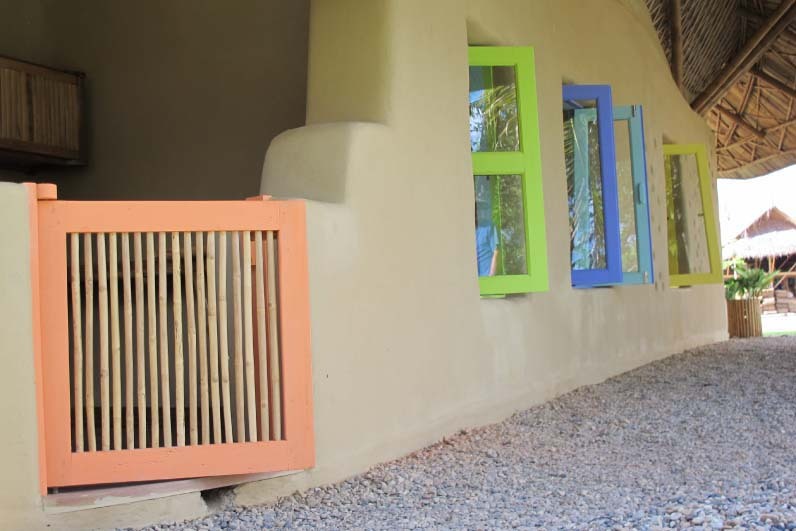 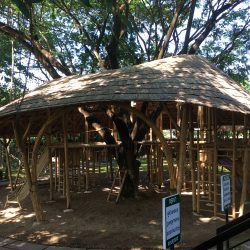 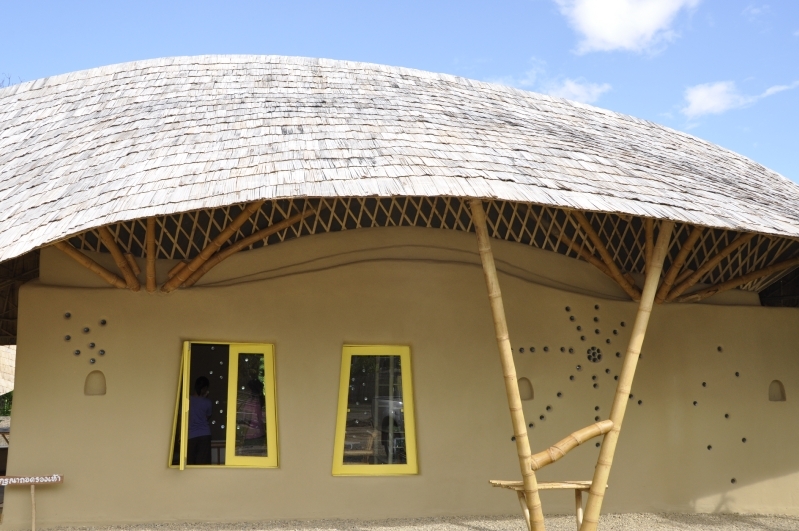 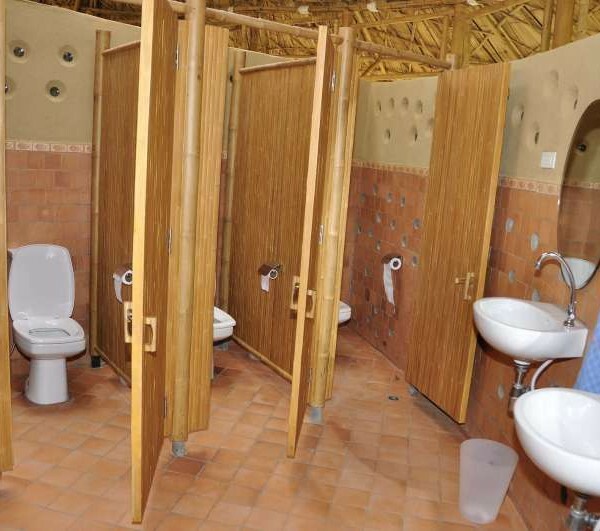 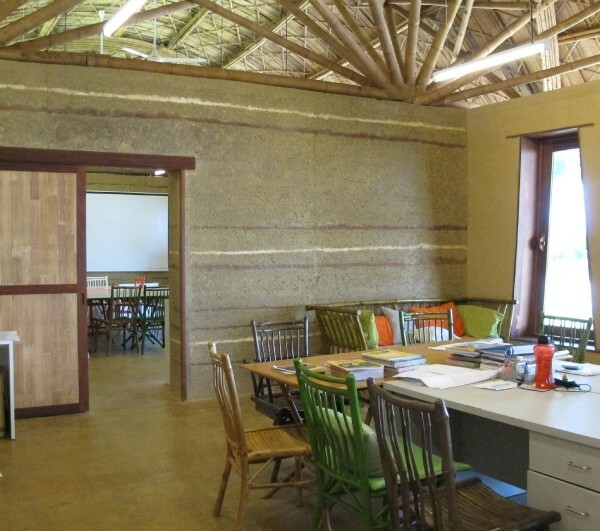 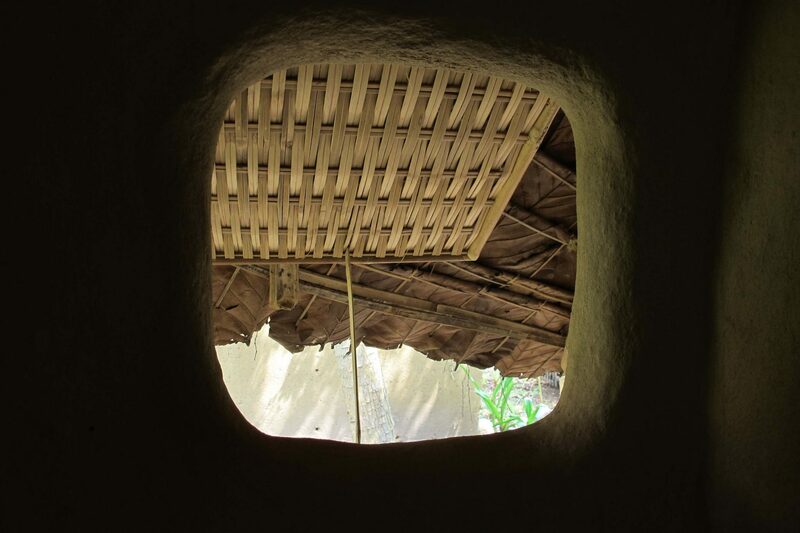 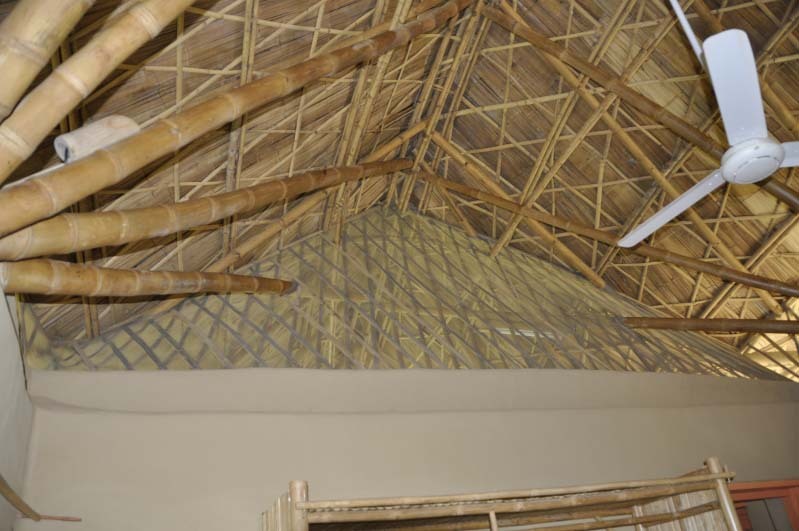 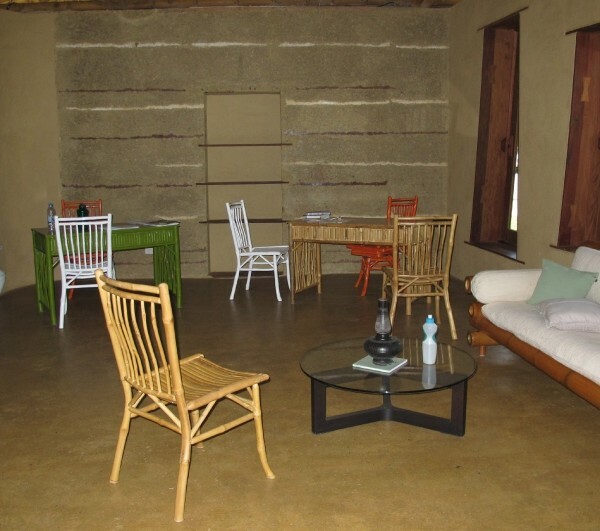 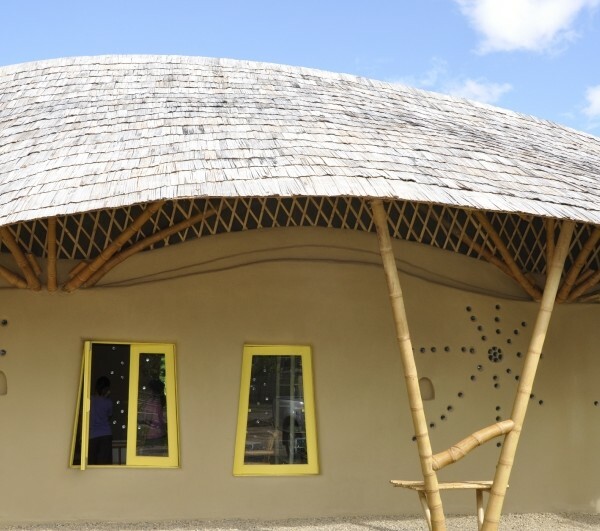 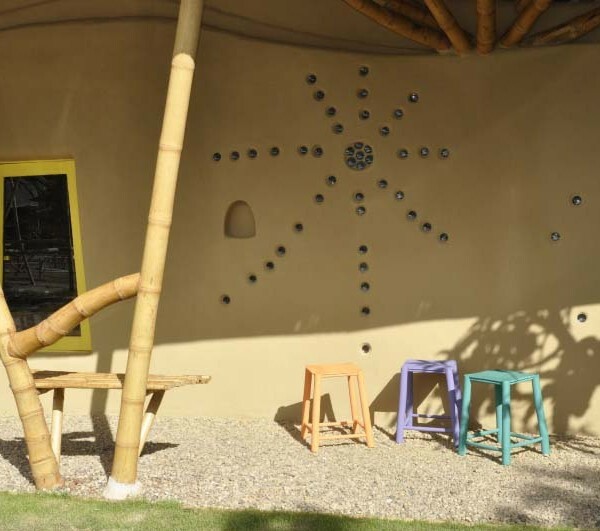 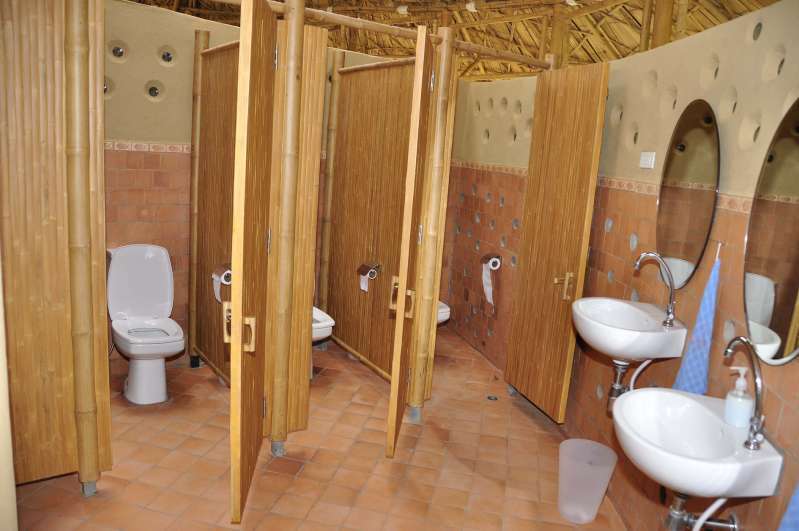 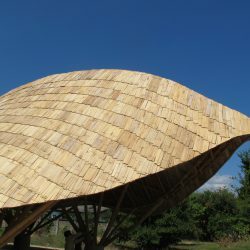 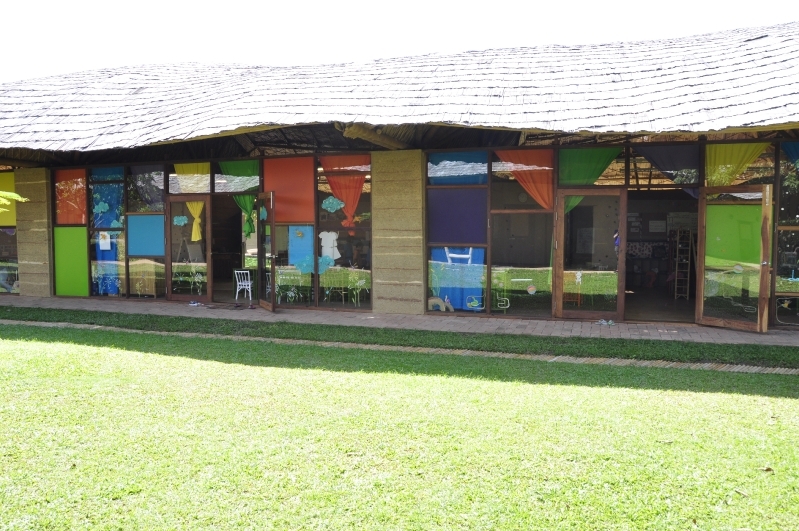 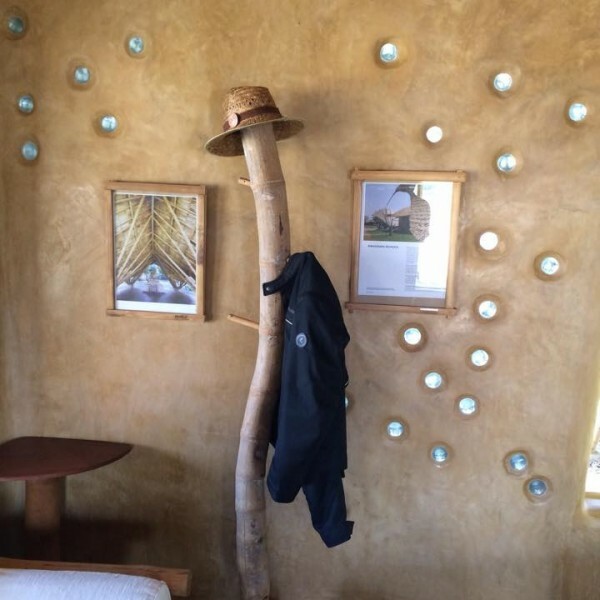 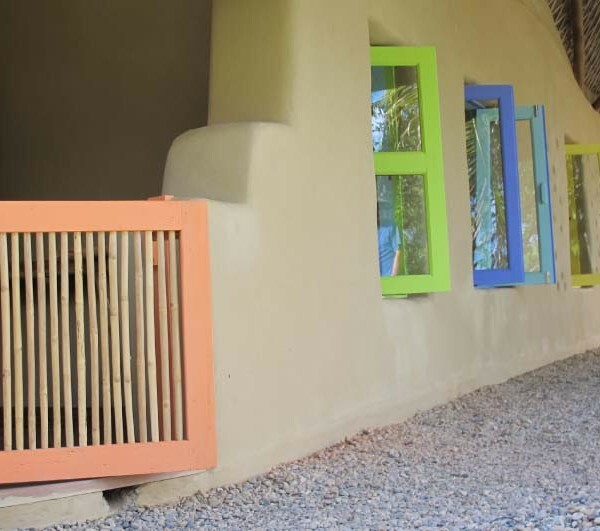 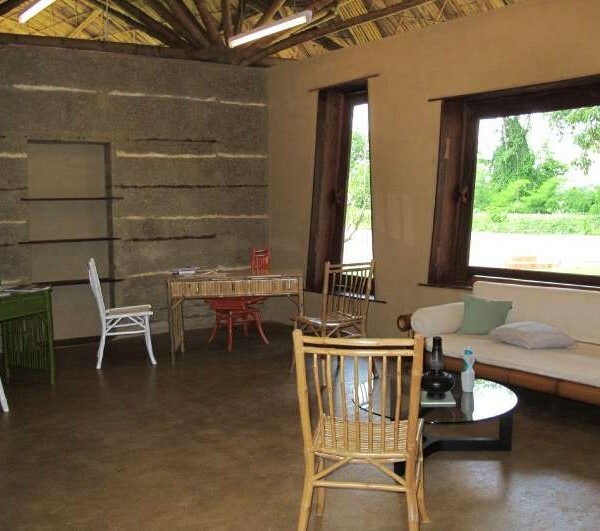 We specialize in big bamboo buildings, big size bamboo structures, big bamboo truss based halls and favor organic designs and build adobe, wattle & daub and rammed earth walls as well as big bamboo structures and bamboo roofs. 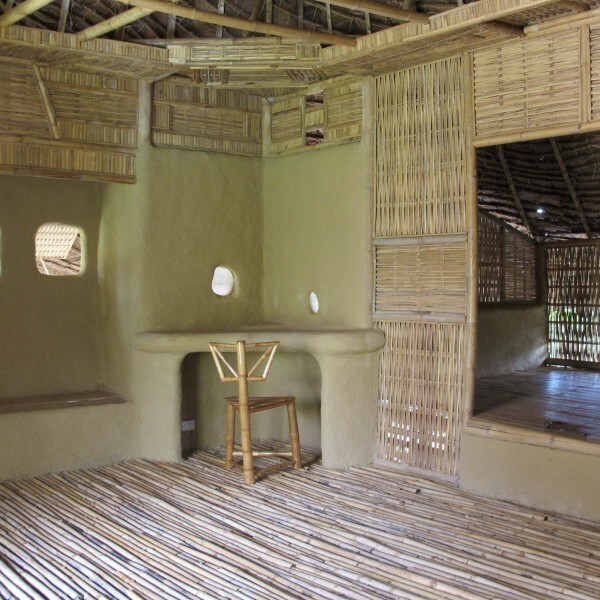 Bamboo treatment is done by natural borax salts. 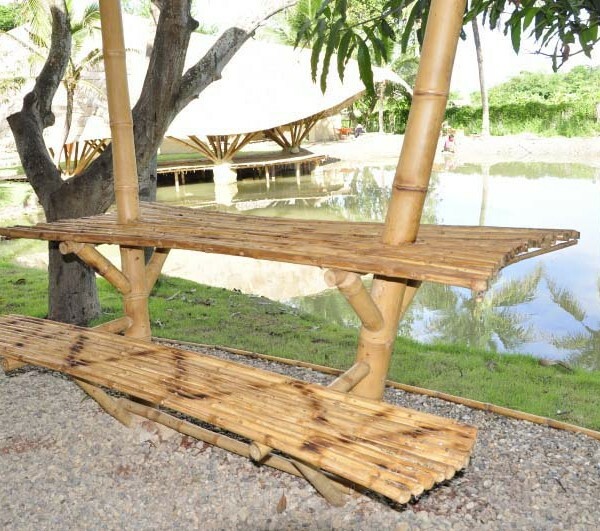 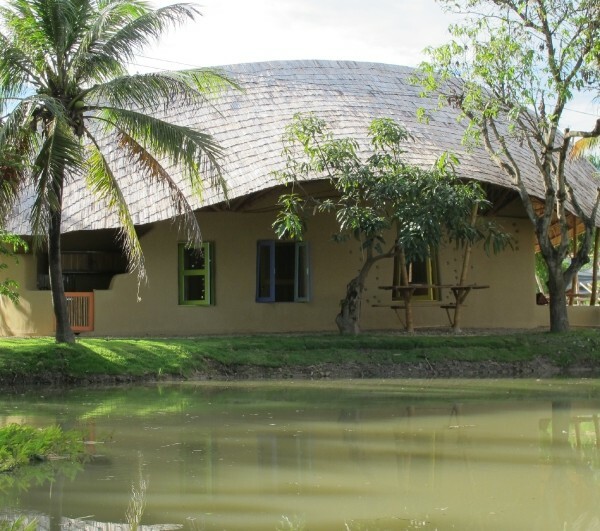 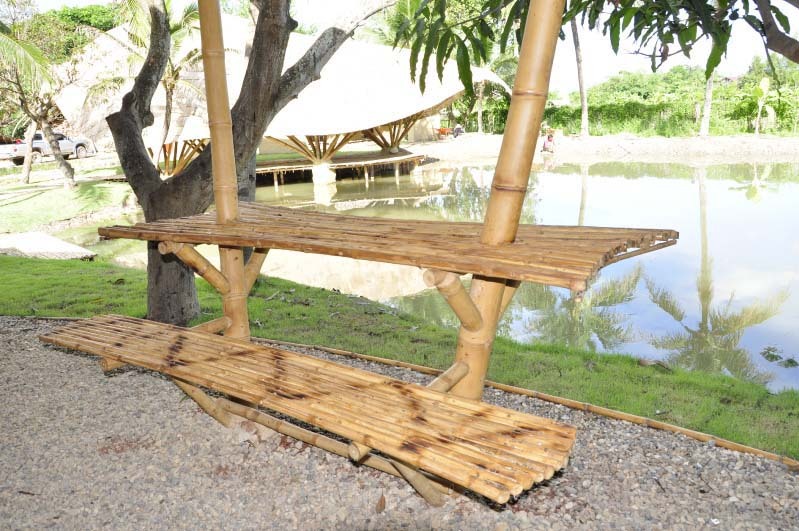 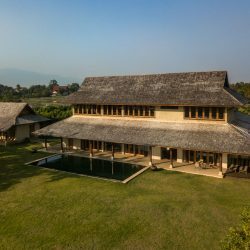 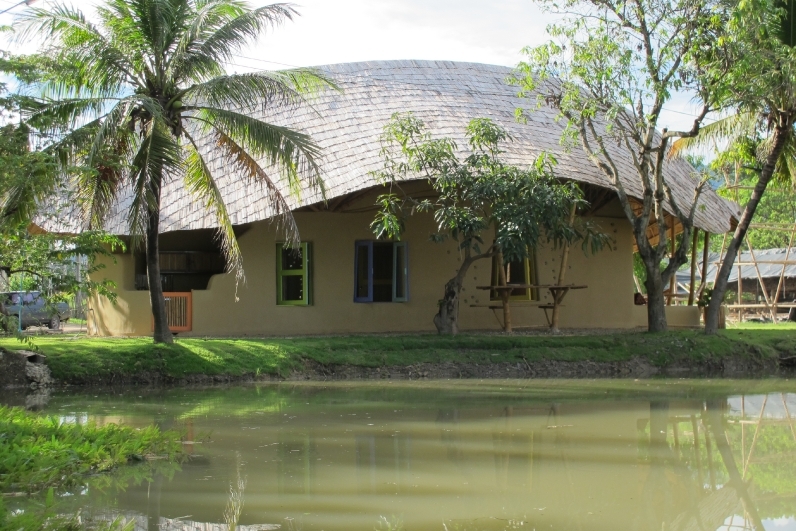 Chiangmai Life Construction combines natural construction materials with modern earth construction designs, provide outstanding examples of contemporary bamboo earth architecture while maintaining the benefits of sustainable materials.